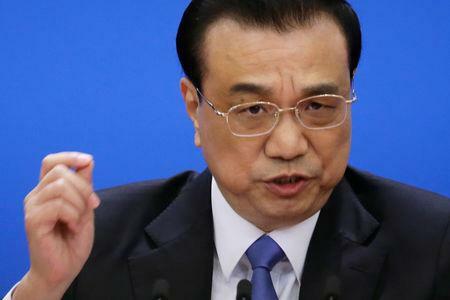 BEIJING (Reuters) - The Chinese government has additional monetary policy measures that it can take to support economic growth this year, and will even cut "its own flesh" to help finance large-scale tax cuts, Premier Li Keqiang said on Friday. Li's comments suggest Beijing is ready to roll out more stimulus measures to ensure the economy grows within a targeted range of 6.0 to 6.5 percent. Gross domestic product grew 6.6 percent in 2018 - the least in 28 years. "Of course, we are faced with many uncertain factors this year. 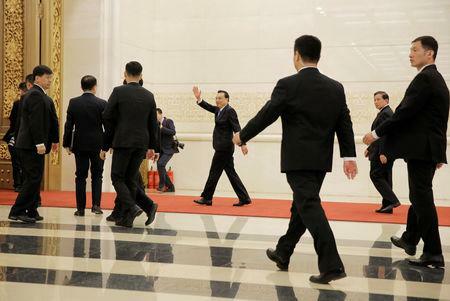 We have to prepare more and we have reserved policy room (to address uncertainties)," Li told a news conference after the annual parliament meeting ended. Li's comments "reconfirm a consistent pro-growth stance, with clarity on fiscal easing and an earlier-than-expected effective date for tax cuts," Morgan Stanley said in a note, adding that it expects improved growth from the second quarter. Data on Thursday showed that China's survey-based jobless rate rose to 5.3 percent in February, from 4.9 percent in December, partly due to job shedding by export-oriented companies.